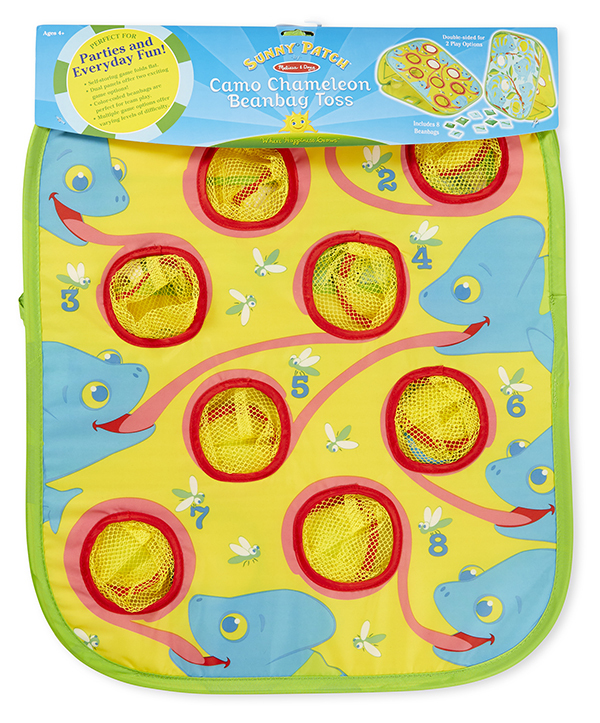 Help Camo Chameleon catch flies and bugs! 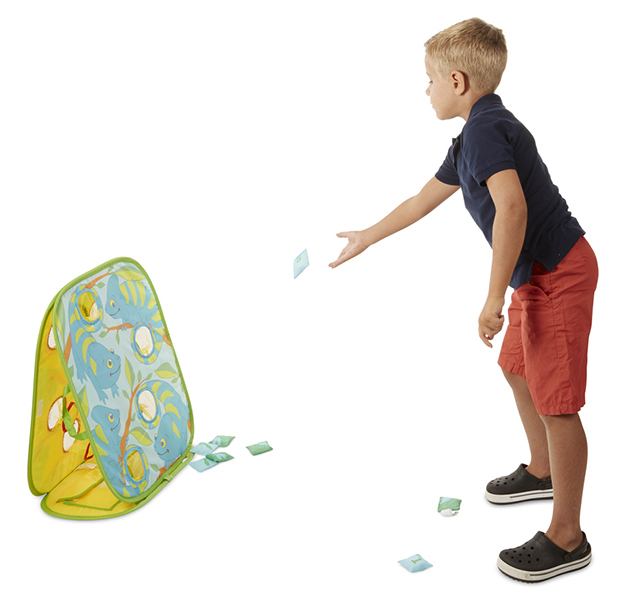 The double-sided bean bag toss game for one or two players can sit horizontally or stand tall to provide several challenging ways to play. 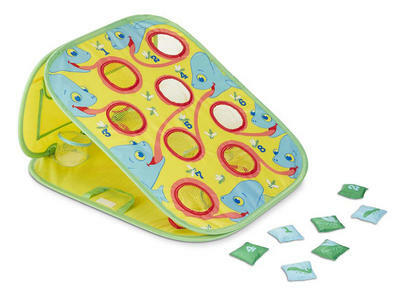 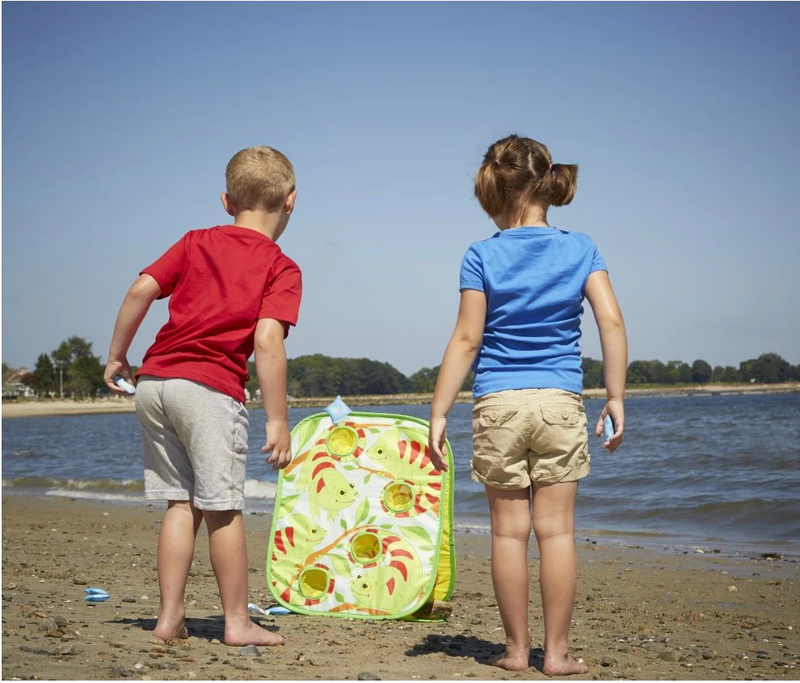 Eight numbered and color-coded bean bags featuring "delicious" insects for Camo to "eat" come with the colorful target to help kids four and older develop hand-eye coordination, number recognition and counting skills. 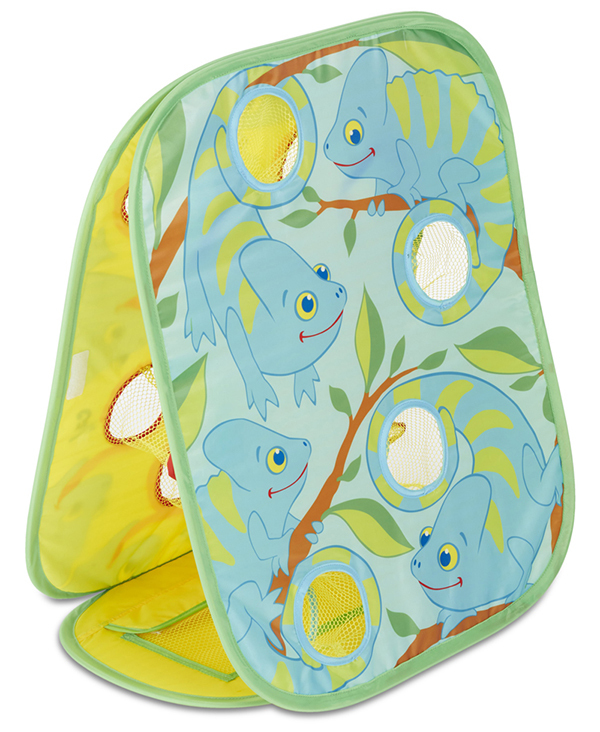 Durably constructed for use either indoors or outside, the non-wobbling metal base is covered with strong polyester fabric. The whole things folds flat for easy storage.